The Mustard Seed, Ballingarry, Co. Limerick. Picture: Alan Place. The Twelve, Barna, Co Galway. This is a country of animal lovers, after all, with some 61pc of Irish households owning either a cat or a dog, according to a recent study, and hotels, B&Bs, self-catering establishments and other forms of holiday digs are taking note. 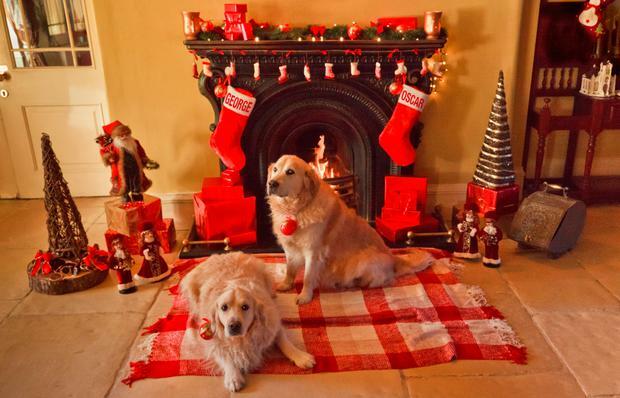 Here's our round-up of the best pet friendly hotels in Ireland. Pet owners should make a beeline for Barna. The Twelve hotel's pet programme sees four-legged friends receive a ‘doggie bag’ including a toy, treat and clean-up bags on check-in, pet-friendly suites come with bowls and water, and a Pet Concierge can even organise local treats like bones from the butcher. This was the hotel readers most recommended on Twitter when we asked for pet-friendly tips, with dog grooming and walking services available nearby... and we like the sound of their "savoury slobbery snacks", too. Details: Nightly rates start from €139, including breakfast, in a pet-friendly suite. Call 091 597000 or see thetwelvehotel.ie./pet-friendly. "In Ireland we lag way behind our UK neighbours when it comes to pet friendliness, but we are making progress," says Georgina Campbell, who named The Salty Dog in Bangor her top pet friendly hotel in Ireland for 2017. "It’s popular with local dog owners, as well as resident guests," Georgina says. 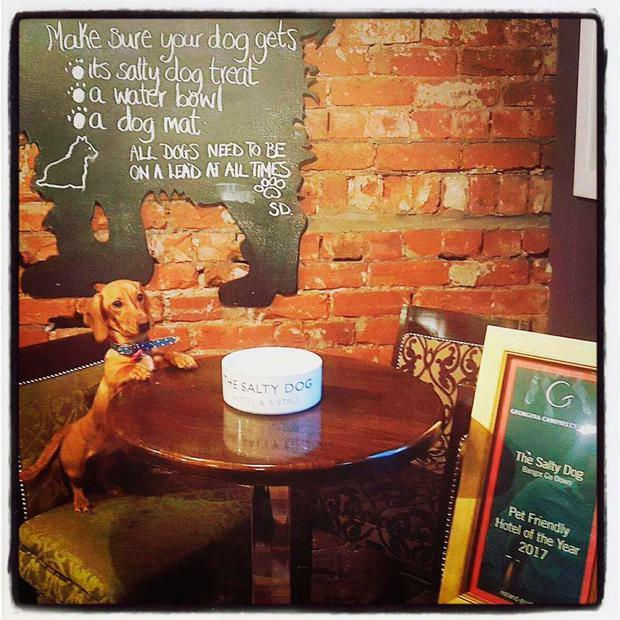 "A pavement board invites people out walking with their dogs to come in for a bite in the pet-friendly bar, where welcoming mats and water bowls are laid out and the simple house rules (keep dogs on the floor and on leads etc) set out clearly on a blackboard." "It's a happy arrangement for both owners and their contented pets - and dogs are also allowed in rooms, by arrangement, at no extra charge," she adds. "An excellent model for others to consider." Pets stay for free, too. Details: As we publish, two nights' B&B plus one dinner midweek were available from £99/€118pp; +44 28 9127 0696; saltydogbangor.com. Hotel search site HotelsCombined.ie recently put together a list of 'Top 7 Purr-fect Hotels in Ireland', and this Donegal five-star topped the poll. Furry friends are treated to their very own welcome bed and basket upon arrival, plus a food and water tray. There are also special pet menus available, and doggy services such as dog grooming (from €30) and dog walking (€20 per hour) can be arranged. 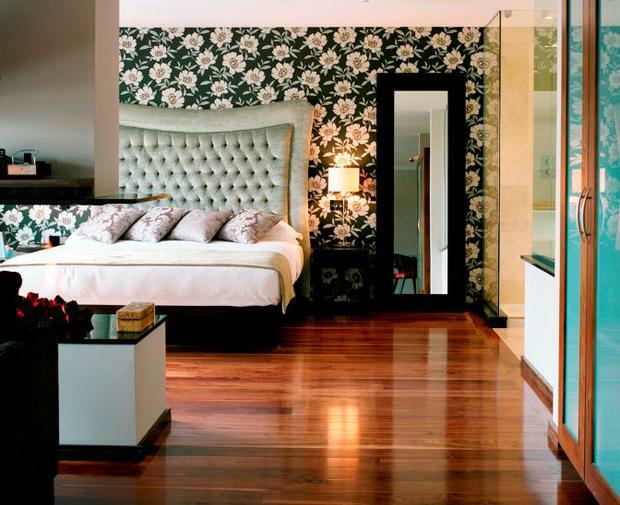 Details: Two weekend nights from €360 for two adults sharing when booked with HotelsCombined.ie. See also solishotels.com/lougheskecastle. Ballingarry's Mustard Seed was Georgina Campbell's Pet-Friendly hotel of the Year 2014, and has seen a massive surge in guests travelling with pets. "Mostly canines," they say. "Though we have had the occasional budgie..."
Accommodation options include a deluxe suite with doors opening onto the garden, and a courtyard mews with access to the outdoors. Pets are allowed in most areas, although understandably not the restaurant. 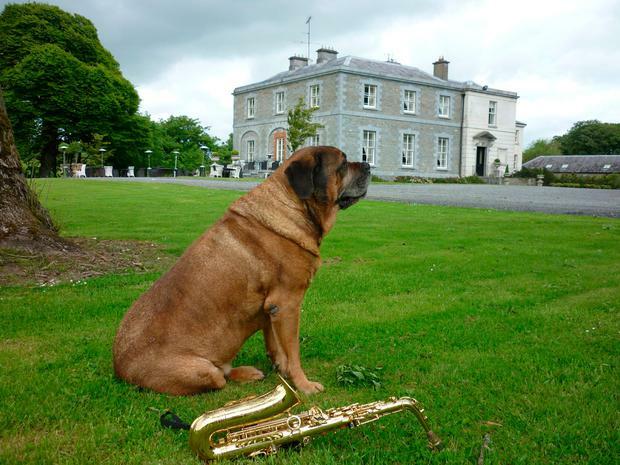 The Blue Book's Tankardstown House has a VIP (Very Important Pooch) package in its courtyard cottage suites. It offers a complimentary doggie treat, 80 acres of woodland and parkland to explore and a three-course dinner in the brilliant Brabazon restaurant from €155pp (sadly, Fido will have to wait that one out). Details: Contact Tankardstown directly on 041 982-4621 (tankardstown.ie), or see irelandsbluebook.com for more information. 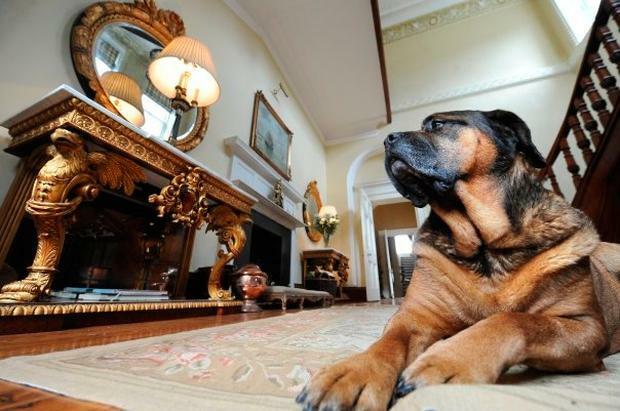 Owners Simon and Freddie Hadden have given their dog-owning guests some classy consideration at Gregans Castle, with several ground-floor rooms offering direct access to the gardens (one has its own courtyard garden, another an outside kennel) and homemade doggie cookies. A beautiful, if expensive, Burren break. Details: Going to press, Gregans had an advance purchase offer on B&B from €215 per room. See gregans.ie or call 065 707-7005. "With a 3km sandy beach at the bottom of our garden, it would be a shame for your dog to miss out on a trip to Rathmullan House," they say. The hideaway's doggie room (adjoining the human bedroom) ensures that your beloved pet also gets to enjoy the best of country house luxury. Rathmullan even provide company with their own Jack Russell – Brushie. All that is asked is that Brushies position as MD is not questioned! Details: Call 074 915-8188 or see rathmullanhouse.com or irelandsbluebook.com. Two-night midweek stays from €260pp, including dinner. Galway's Ardilaun Hotel offers a four-star service for four-legged friends, including rooms with garden access and an Ardilaun Doggy Pack (containing a bowl, treat and welcome letter). Bring bedding and food, they say - " we provide everything else". Dogs are not allowed to eat in rooms, however- and should not be left alone. Details: Winter escape rates start from €120 per room; dogs are charged at €15. See 091 521433 or theardilaun.ie. Killarney's Gleneagle Hotel has a number of pet friendly apartments available for those who like to holiday with their furry friends. The two bedroom, self-catering apartments are described as "super spacious", can sleep up to five people and two pets comfortably, and four-legged friends are provided with a food and water bowl and a pet bed. House rules? Just two pets are allowed per apartment, they must weigh less than 50lbs, be house-trained and are not allowed in the bedrooms. 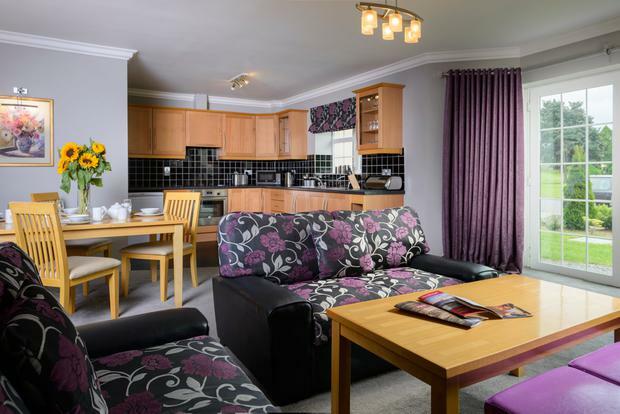 Details: A two-night midweek stay at The Gleneagle Apartments costs from €249 per apartment. Contact 064 667-1550 or gleneaglehotel.com. 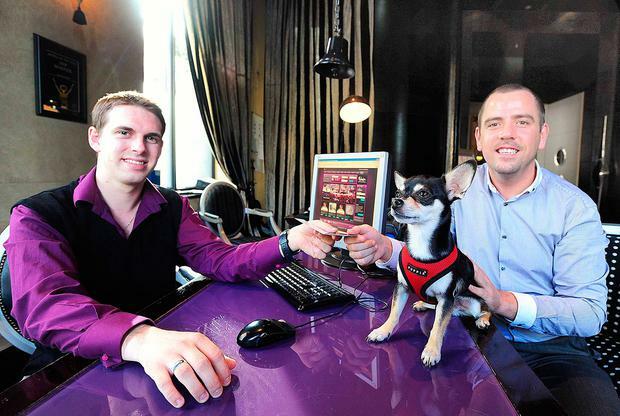 This chic city five-star allows "domesticated pets that are trained and well-behaved". Upon request, hotel staff can have guestrooms set up with pet beds, food and water bowls, and treats. The hotel can also arrange for dog walkers, pet spas (all grooming done off property) and veterinary care through its Concierge team. The maximum size for 'Dylan dogs' is 30kg. 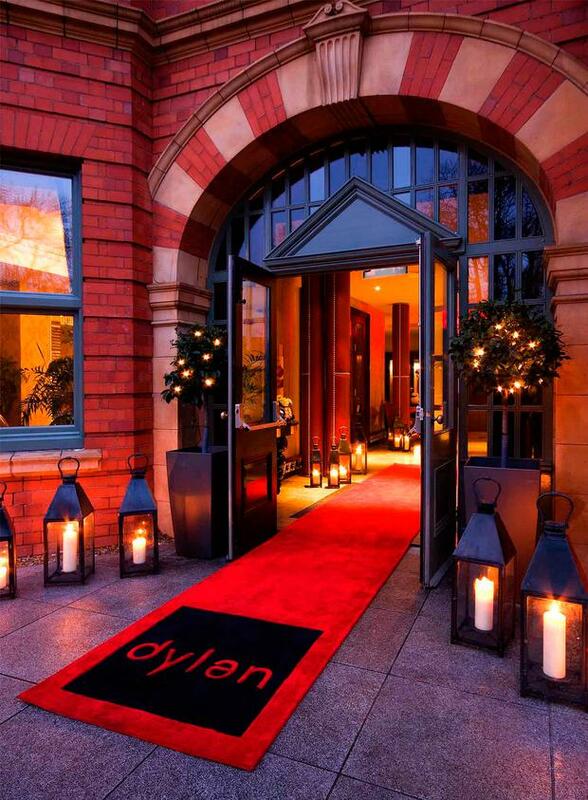 Details: Rooms from €170 per night on dylan.ie. Call 01 660-3000 or check HotelsCombined.ie for other rates. Oscar & George (pictured) are "the most popular employees on the payroll" say the good folk at BrookLodge and Macreddin Village. The hotel has dog-friendly rooms on the ground-floor that are suitable for small, well-trained dogs, and a doggy treat is provided on arrival - but guests are advised to bring along their own bedding and food for their furry friends. A charge of €10 per night per dog applies. Details: Going to press, B&B with an hour's treatment in the Wells Spa was available from €100pps for two. 0402 36444; brooklodge.com. Pets here are treated like VIP’s (Very Important Pets), they say, and dog-friendly rooms feature comfy beds, fluffy towels and water bowls. There’s even a special food menu for cats and dogs in the hotel’s kitchen featuring ‘Scooby Snacks’ and ‘Garfield’s Grub’, and of course, pets have the run of a 350-acre estate. Details: Dogs are charged at €10 per night, with a €500 deposit required. See thelodgeac.com or hotelscombined.ie. Co. Cork's five-star Castlemartyr Spa & Golf Resort is surrounded by a stunning landscape, located just 20 minutes from Cork City. "We welcome any dog, regardless of size, weight or breed, as long as they are cute, adorable and well-behaved," the hotel says... although we might add that they charge €50. Castlemartyr has its own resident Irish Setters, Earl and Countess, and suites have a private garden with doors leading directly to the estate. Details: Current rates for doubles from €145 per night on HotelsCombined.ie. See also castlemartyrresort.ie or phone o21 421-9000. Aghadoe Heights, Killarney: Small dogs are welcome with a special pack, menu, toy, bowls, bed - and a book of walks in the area. Rooms open onto the garden so pooches can stretch their paws. 064 663-1766; aghadoeheights.com. Ashford Castle, Co. Mayo: Pets at this five-star can expect a comfy bed, fluffy towels, food and water bowls and treats. Dog-sitting and walking is on offer, as are grooming and services. 094 954-6003; ashfordcastle.com. The Dunloe, Killarney: Luxury treatment isn't just for humans at The Dunloe. Canine companions can stay in hotel kennels or pet-friendly rooms, which come with doggy beds, food bowls, treats and toys. 064 664-4111; thedunloe.com. 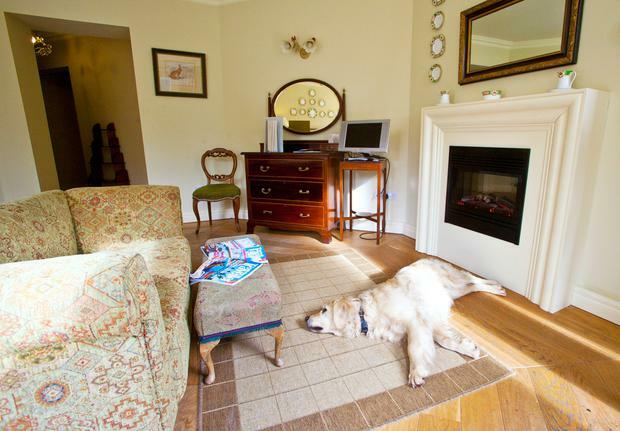 Ghan House, Carlingford, Co Louth: Dogs are welcome at two "little homes" in the stables in this Carlingford stalwart. 042 937-3682; ghanhouse.com. 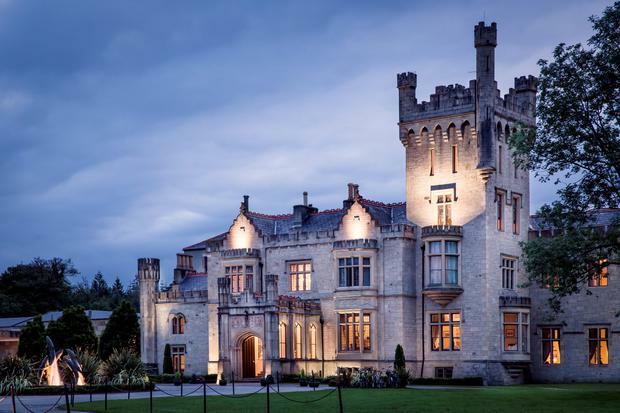 Harvey's Point, Donegal: Dogs are welcome to stay at this award-winning hotel on Lough Eske, with the lakeshote suites especially recommended. It's a super part of the world for walks. 074 972-2208; harveyspoint.com. Pax House, Dingle: Molly the cat and Me, Rio the dog stand ready to welcome pets to this guesthouse in Dingle. They can take one pet at a time, bedding and eats can be provided, and they go free. 066 915-1518; pax-house.com. Rosleague Manor, Co. Galway: This Blue Book Georgian house has a dog-friendly room available among its 30 acres. 095 41101; rossleague.com. Sheen Falls Lodge, Kenmare: The villas at Sheen Falls are all pet-friendly, and guests can enjoy hotel amenities too. 01 664-1600; sheenfallslodge.ie. Sneem Hotel, Co. Kerry: "Our dog policy is simple. We welcome any dog, regardless of size, weight or breed for zero fees or deposits, as long as they are cute, adorable and well-behaved!" Pet-friendly rooms and apartments are available, but you need to bring your own bedding and bowls. 064 667-5100; sneemhotel.com. Stella Maris, Kilkee: "Pets are welcome, as long as their own bedding is provided," says this Co. Clare hotel. 065 905-6455; stellamarishotel.com. Vienna Woods, Cork: Several rooms are allocated to accommodate small pets, all of which come with their own bed, duvets, toys and bowl. Dogs are charged from €20, with guests advised to phone ahead. 021 455-6800; viennawoodshotel.com. Got a pet friendly hotel to recommend in Ireland? Let us know by emailing travel (AT) independent.ie or get in touch on Facebook here! It's not just pet-friendly hotels that offer accommodation for the VIPs (Very Important pets) in your life. Self-catering offers lots of options too. Trident Holiday Homes (01 201-8440; tridentholidayhomes.ie) has a range of 23 pet friendly holiday homes in Ireland, with some properties featuring enclosed back gardens. Its usual rate is €25 per pet, but they can vary. 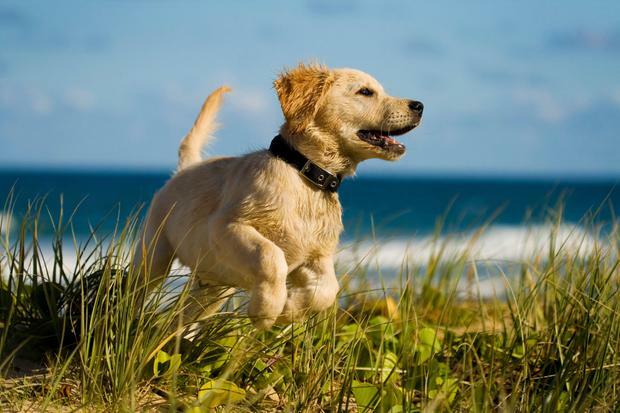 Elsewhere, Cottages4you.ie has over 200 pet-friendly cottages, farmhouses and contemporary holiday homes all over Ireland where pets go for free. Check out the options on its website at cottages4you.ie, or call 01 201-8490. Kilkenny's Croan Cottages allow dogs to stay in pet-friendly accommodation, at no extra charge, as long as they are house-trained. Just bring bedding, food bowls, and keep the dog on its leash while outside. 056 776-6868; croancottages.com. Tourism Northern Ireland has a dedicated section on pet-friendly breaks in Northern Ireland on discovernorthernireland.com/short-breaks/pets. A “Dogs Welcome Scheme” here highlights dog-friendly properties throughout Northern Ireland, recognising the special efforts made by various hotels, guesthouses and self-catering accommodation owners to provide for visitors with pets. Hotels include Malmaison hotel in Belfast (pictured above), the Hilton hotels in Belfast and Templepatrick, and the Killyhevlin Hotel in Enniskillen. How welcome is your four-legged friend on the road? Woofadvisor.com is a new website aiming to make life easier for people travelling with pets. It's about more than accommodation, offering a trip planner that shows pet-friendly parks, beaches, walks, services, motorway stops and more along your route - with the aim of helping community members get the most out of their trip. You need to sign up to get the most out of it, but the service is free, and members get a regular newsletter with info and special offers too. NB: All prices subject to availability. 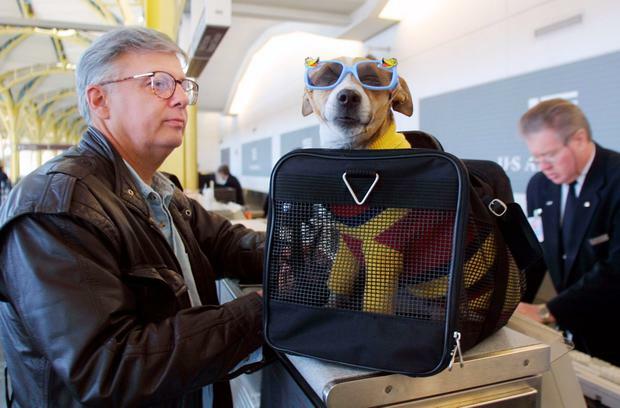 This feature does not ideal with policies for service dogs, which may be permitted where other pets are not.